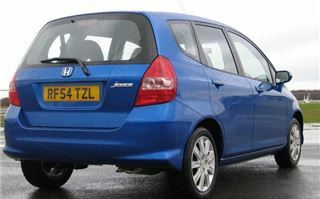 Since its launch now nearly 3 years ago the Honda Jazz has been almost universally rated as the best car in its class. 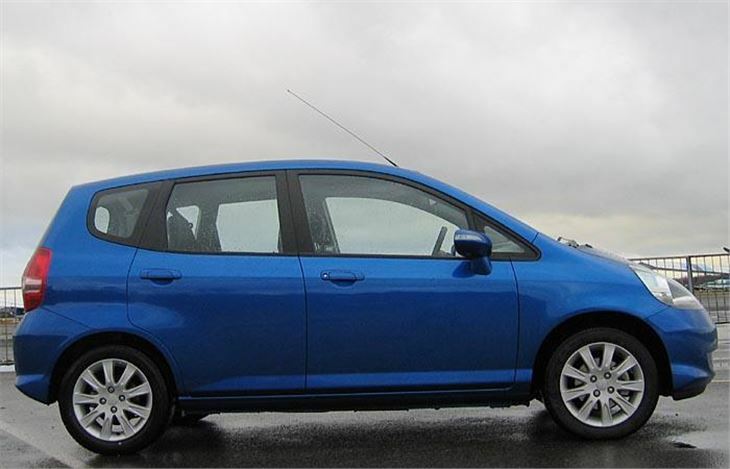 It has a very clever cabin design, an extremely economical petrol engine, a decent automatic version and it's cute. In Bangkok it’s the equivalent of a MINI and you hardly ever see one without mica paint, bling wheels, spoilers, skirts and blacked-out windows. The Thais and Malaysian also get an engine we don’t: a 110PS version of the 1.4 I-DSI (Intelligent Dual Sequential Ignition). 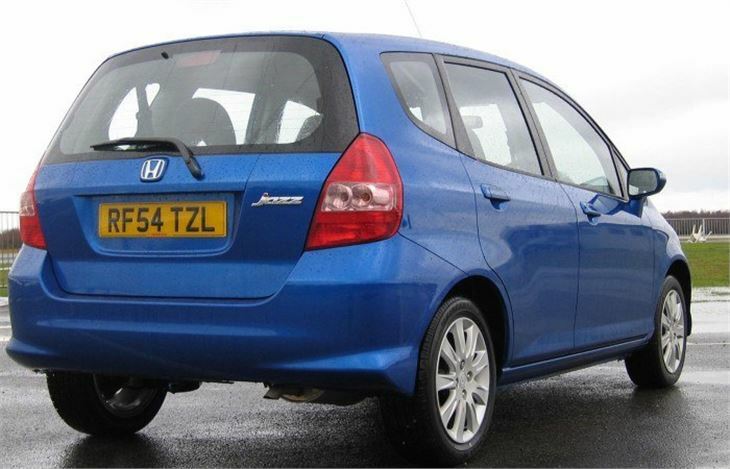 The reason we don't is that Honda is using the Jazz to keep its CAFE rating as low as possible, which is also why it has introduced a 77PS 1.2 litre version as part of the 2005 model year facelift. That also sees some rationalisation of specs, with the SE version acquiring the old Sport’s 15” alloy wheels and 185/55R15 tyres, but losing its standard sunroof. And, most important of all, they’ve done some more work on the ride quality which was just about the only thing anyone ever found to criticise on the original Jazz. Honda didn’t stop there. They also thought very hard about exactly how they were going to use all that space, and came up with a concept so clever they call it 'Magic Seats'. 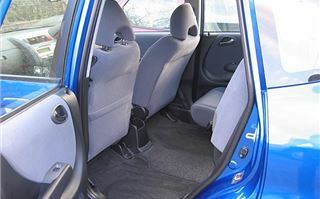 Where with an ordinary car you can break your fingernails and give yourself a hernia rearranging the seats to carry something, with the Jazz all you do is pull a lever on the front seat back to temporarily pull it forward, then flop down the rear seat, headrest and all, in one simple movement. Flop down both seats and you create a cavern in the back with a perfectly flat floor. But that's only the start because Honda has another trick up its sleeve. Lift the rear seat squabs and you create an entirely different type of luggage space, bang in the centre of the car. Somewhere to put something tall and awkward, like a house-plant, or a bicycle, or a wolfhound. To fold it back again, just pull out the legs and drop it down. Either side or both sides. It's that easy. More to the point, it’s exactly what I want and what you want. 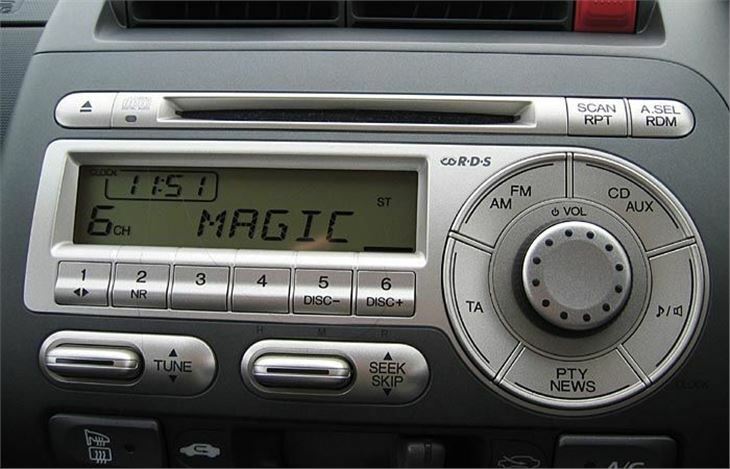 With the Magic Seat system, Honda left every other manufacturer scratching their heads. 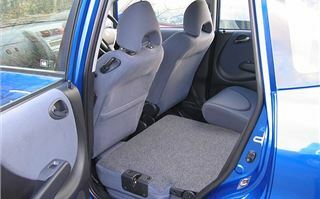 And though new models like the FIAT Idea, the Mitsubishi Colt, the Renault Modus, and the Vauxhall Meriva are clever in their own way, none quite match the Magic seats of the Jazz. The new CD radio is in your line of sight so you don’t have to take your eyes off the road to use it, has a single big knob to switch it on or off and adjust the volume, and big, easily understood buttons for scanning for stations. There are places for oddments all around the cockpit; those in the centre console easily taking phones, cameras and cups, plus useful deep lipped open parcel shelves and decent sized door pockets. The interior and steering wheel is now in a modern looking fake Kevlar that looks good, while you get velour where you might rub your arm on the door panel. 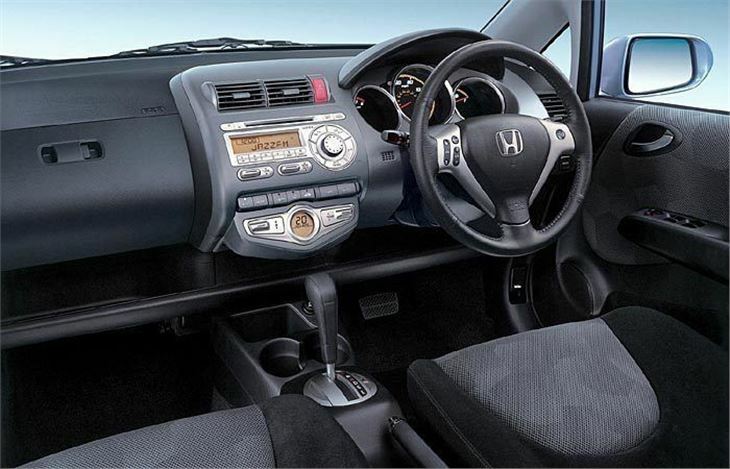 Honda has made a small change to the CVT-7 controls as well. Instead of steering wheel buttons you now get little paddles: left to change down and right to change up; and a button on the steering wheel to switch manual override on or off. Not that you will very often because about town the box works fine left on its own. You can select D or S for Sport from Neutral simply by moving the lever. You don’t have to flash your brake lights at the driver behind. Though D is fine for town, once you get out of town. Kickdown can be a bit frenetic. S holds the ratios a bit longer, so you pick up speed quicker without having to kick down. While selecting manual override puts you in a suitable gear to start with then lets you assume command. As for the ride quality, there’s now nothing to whinge about at all, even on 185/55R15 tyres. It even shrugs off road humps that can rattle the chassis of a big 4x4. Is the Jazz still top of the class? 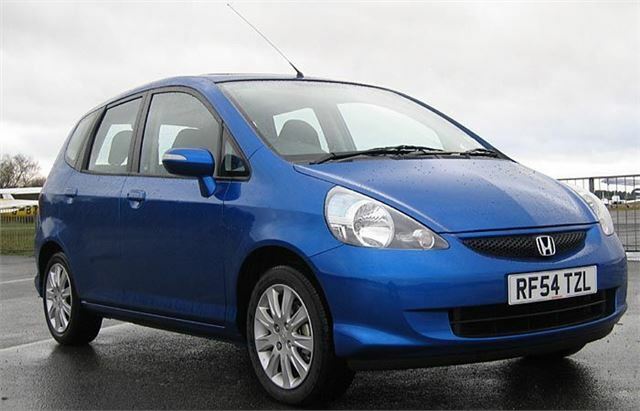 Well, the Renault Modus and the Mitsubishi Colt run it close in different ways. But if you have to have a self-shifter, the Jazz CVT-7 is the automatic choice.